Lawyers with the American Freedom Law Center have filed a motion for a summary judgment in a lawsuit brought by Islamists working in the United States under the title of Council on American Islamic Relations, explaining the “silliness” simply needs to be dropped. The organization filed the motion, along with a memorandum of law and dozens of supporting documents, in the U.S. District Court for the District of Columbia in the case naming Center for Security Policy, several employees, and former federal investigator Dave Gaubatz and his son, Chris Gaubatz, as defendants. CAIR filed suit in 2009 against the Gaubatzes after the two carried out an undercover investigation of the Islamic group. The Center for Security Policy in Washington, D.C., and three of its employees were later added to the suit for their part in commissioning a documentary. Evidence from the investigation was published in the WND Books exposé “Muslim Mafia: Inside the Secret Underworld That’s Conspiring to Islamize America.” The book documents CAIR’s support of radical jihad, recounting its origin as a front group for the Palestinian terrorist group Hamas and the Muslim Brotherhood, the worldwide movement that has stated its intent to transform the U.S. into a Saudi-style Islamic state. The case has been going for years already, and U.S. District Judge Colleen Kollar-Kotelly of the U.S. District Court for the District of Columbia recently denied CAIR’s motion to extend discovery of the Center for Security Policy and several of its employees. The court agreed with a brief filed at that time by the American Freedom Law Center, which is defending CSP, rebuking CAIR and its in-house legal counsel for an inability to efficiently manage discovery in this matter and to comply with the court’s scheduling and procedures order. “We expect the court to rule in favor of our clients not because CAIR manifestly abused the legal process in this litigation, but because the facts uncovered in the litigation demonstrate that the documentary was undertaken legally and quite properly,” said Davdi Yerushalmi, AFLC co-founder. Kollar-Kotelly’s ruling could happen before the end of the year.CAIR also has filed its cross-motion for summary judgment, and both parties have until June 17 to answer. 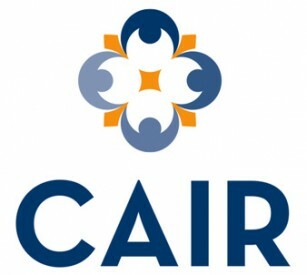 CAIR, a self-described Muslim public interest law firm, previously was listed as a Muslim Brotherhood-Hamas front group by the FBI and the U.S. Attorney’s Office in the federal criminal trial and conviction of a terrorist funding cell organized around one of the largest Muslim charities, the Holy Land Foundation. That group raised funds for violent jihad on behalf of Hamas, and top CAIR officials were part of the conspiracy. In addition, several of CAIR’s top executives have been convicted of terror-related crimes. In an opinion in June 2011, Kollar-Kotelly granted part of the Gaubatzes’ motion to dismiss the case, throwing out the count pertaining to the audio and video recordings but maintaining other counts, including theft of physical documents. The motion from the AFLC explained the reference to silly, based on the plaintiffs’ assessment of what value documents they sent to an intern to destroy now held. “Beyond the incoherence if not silliness of these speculative, if not outright artificial valuation methods, plaintiffs conceded in their live testimony that they had no idea why they came up with these valuation,” the filing explains. The document also raises questions about standing, since CAIR apparently was not properly authorized as an organization when it first brought the claims. Ibrahim Hooper, CAIR’s communications director, also has expressed a desire to overturn the U.S. system of government in favor of an Islamic state.